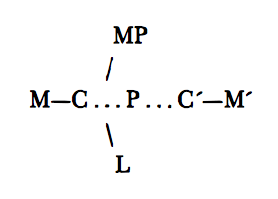 Andrew McGettigan, has published another useful post on the complexity of student loans. They are complex, not only for the government to model, but also for the borrower to understand how much they will repay and the actual value of the money they repay. The cost of something worth £9000 today is not the same as paying £9000 for it in ten or thirty years time. Andrew makes that clear in an earlier post. A website like this one, can help us calculate the effect of inflation on the value of money. It tells me that spending £9000 in 1986 would have bought me the same as spending £24,629 today. In 30 years, the value of money has decreased by nearly two-thirds due to 173% inflation. Inflation in the last 30 years has averaged 3.4%, according to the Bank of England’s inflation calculator. On that basis, £9000 in cash today will be worth (i.e. have the value of) £3300 in 2046. 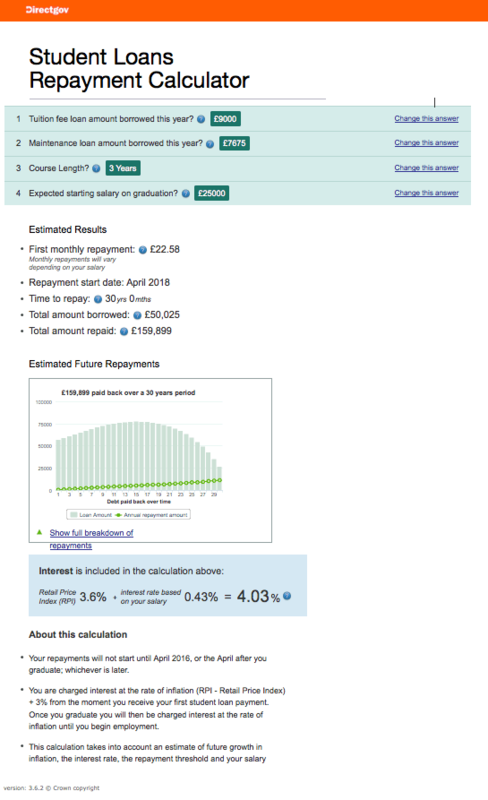 In late 2013, I was curious about what the actual total amount of money repaid on full student tuition and maintenance loans would be if I were 18yrs old and planning to go to university in London (where I did my undergraduate degree). When I was 18yrs old, I wouldn’t have asked this question, but now with a fixed term mortgage, where I’m told exactly what I’ll pay back (about double what I borrow), and a young daughter who will probably be going to university in a few years, I’ve become more cautious about long-term repayments on large amounts of money. Again, what the calculator does not do is tell you that the value of money goes down due to inflation, so £160K today is not the same amount of money-value as £160K paid back over 30 years. I just went onto the Directgov website to use their repayment calculator again, but the website is down, perhaps in response to more good work that Andrew did a few weeks ago on ‘Calculator Caveats‘. As a borrower, I’m none the wiser really. What they seem to be saying is that the £81K figure isn’t really what I’ll be paying back because no-one knows what the value of money (and therefore the value of a wage) will be over a given time. I guess it must be somewhere between £81-160K. It certainly isn’t the £44K that has been discussed in the news recently, stating that English student debt is now the highest in the English-speaking world.